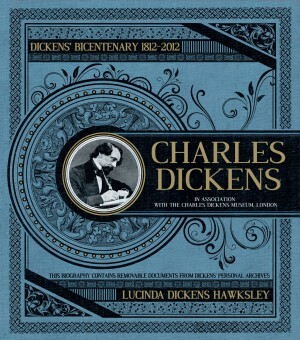 Marking the bicentenary of Charles Dickens’s birth, his great-great-great granddaughter Lucinda Dickens Hawksley introduces her new book, the definitive illustrated guide to the man and his works. Produced in association with the Charles Dickens Museum, it follows Dickens from early childhood, looking at how he became the greatest celebrity of his age. Lucinda takes an intimate look at the man behind the novels; husband, father, friend and employer; at his longing to be an actor, his fascination with detective work and his travels. Following the event there will be a wine reception and an opportunity to purchase a copy of the book signed by the author.